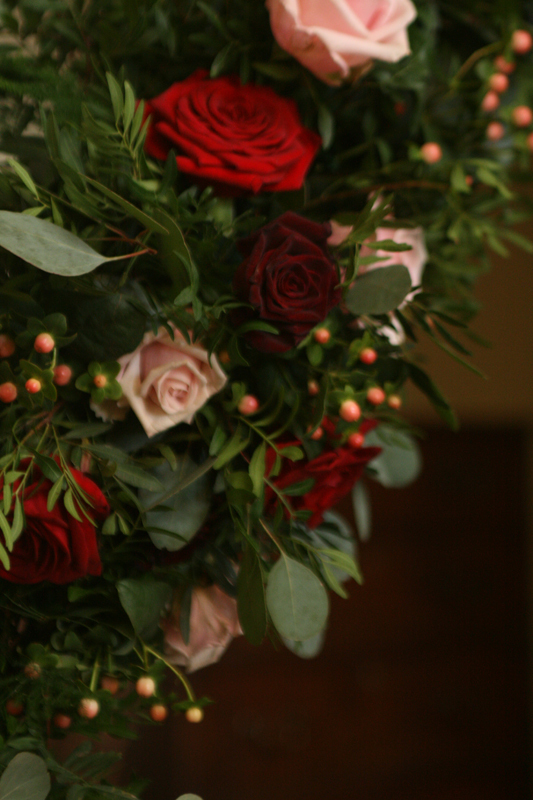 I loved every single detail of this beautiful wedding. 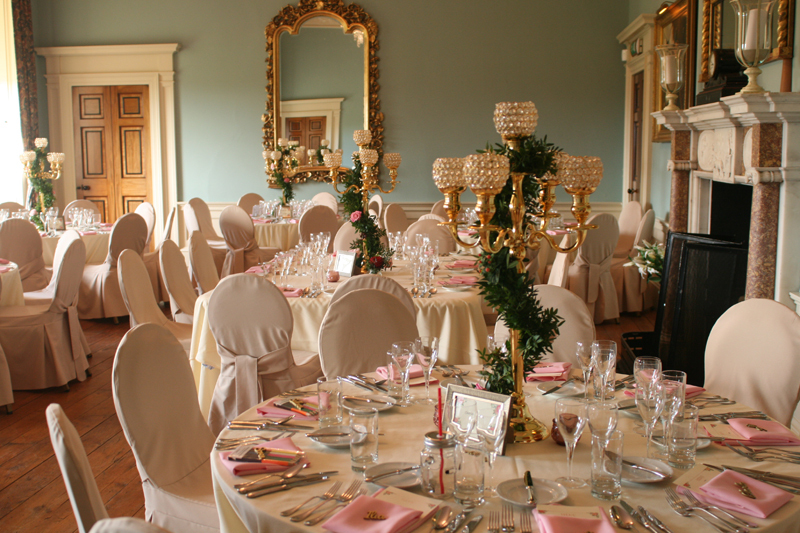 This was my first visit to Wedderburn Castle. 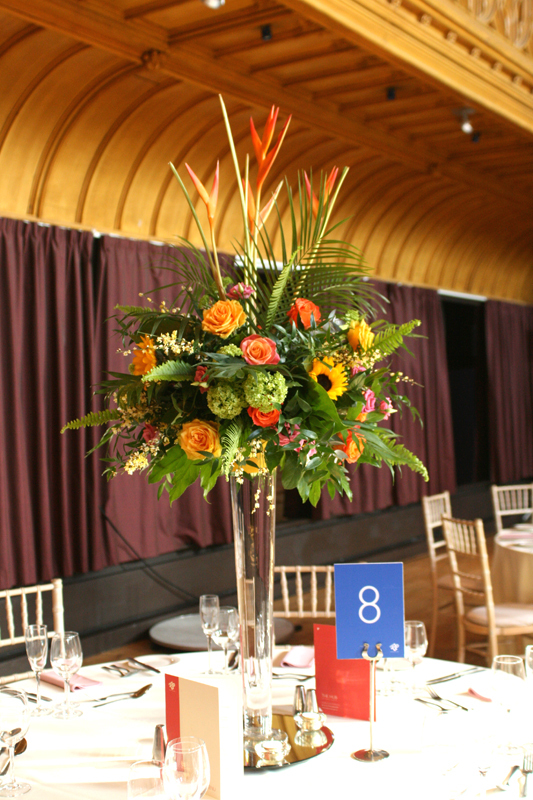 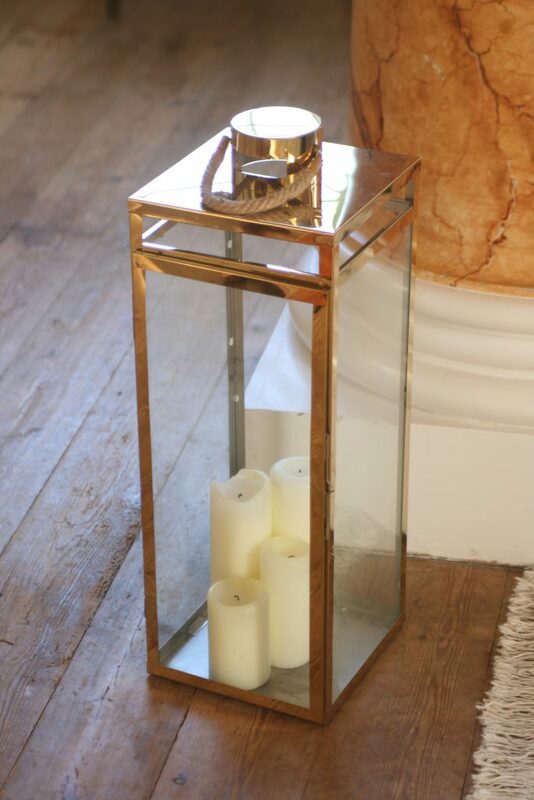 I arranged flowers at Wedderburn Barns a few years ago for Amy and David’s wedding (you can see the details here) so I know the area and it was exciting to be back. 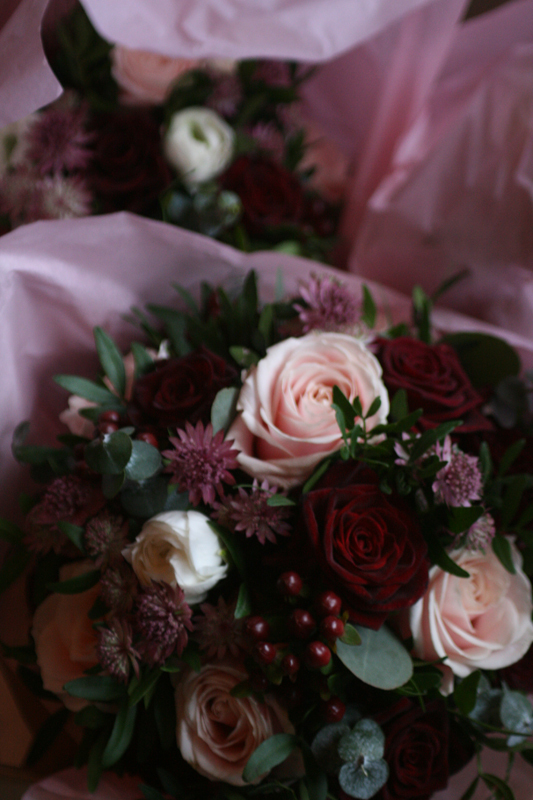 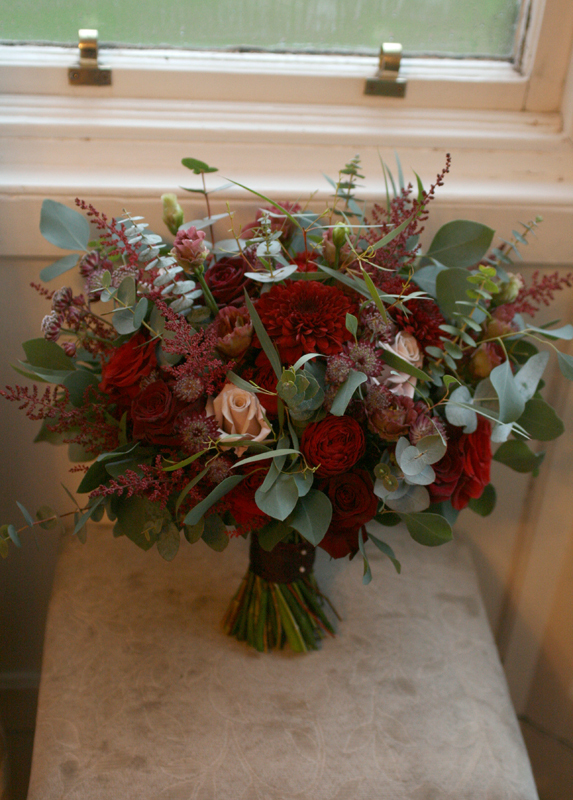 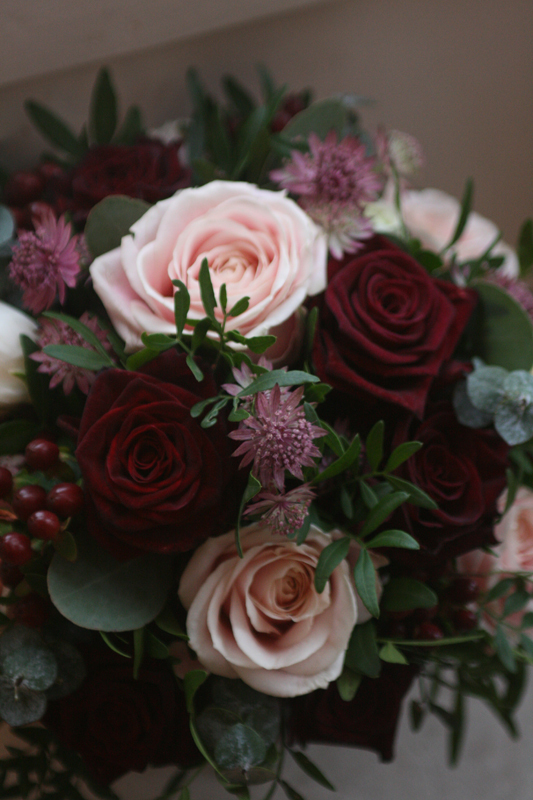 Cat and Richard chose pale pinks, burgundy, white and lots of greens for their wedding flowers. 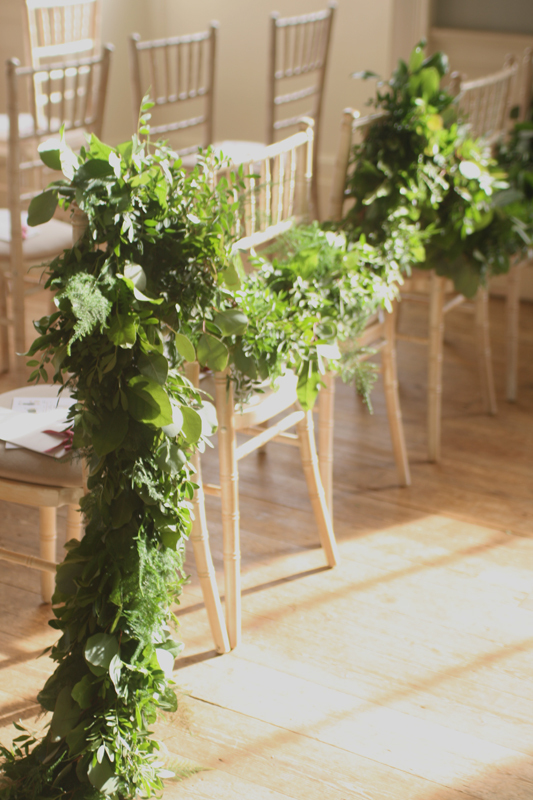 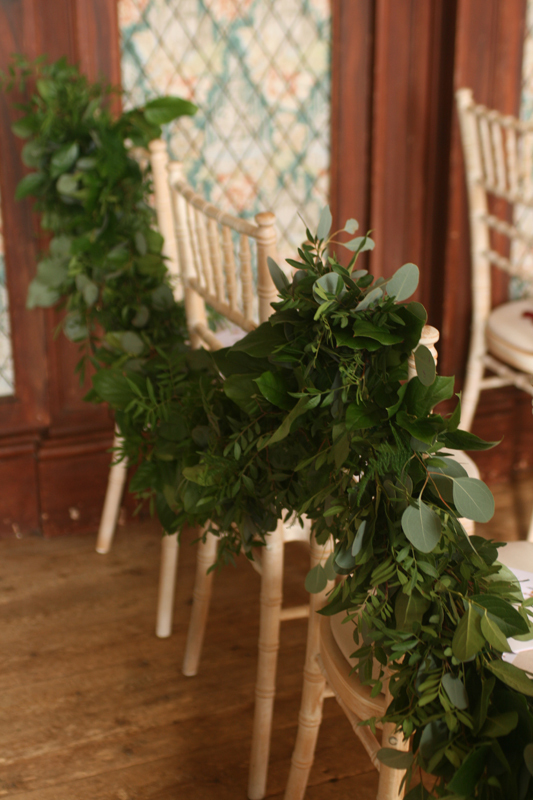 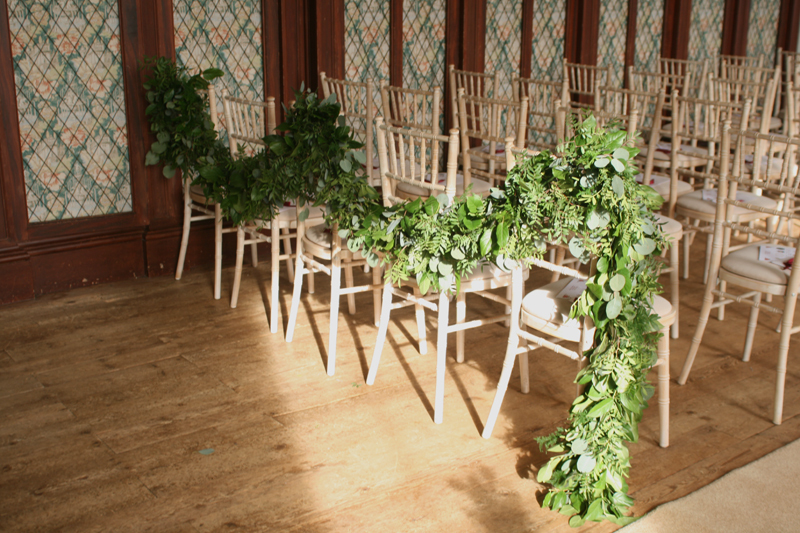 We made over 20 metres of lovely lush foliage garlands which included 2 x 4 metre long thick garlands draped along the back row of the guest chairs for the ceremony as well as garlands for the gold candelabra centrepieces. 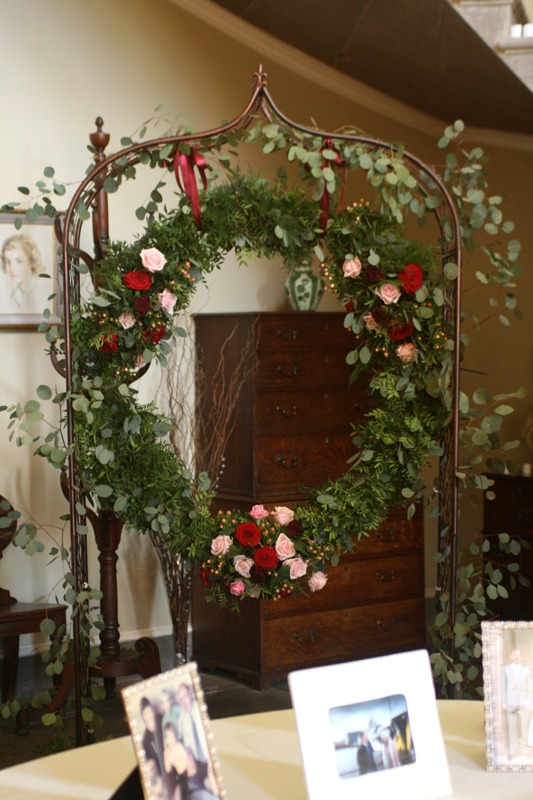 Cat wanted something a bit different for a fun photo booth so we created a large foliage and flower hoop hanging within a foliage covered archway. 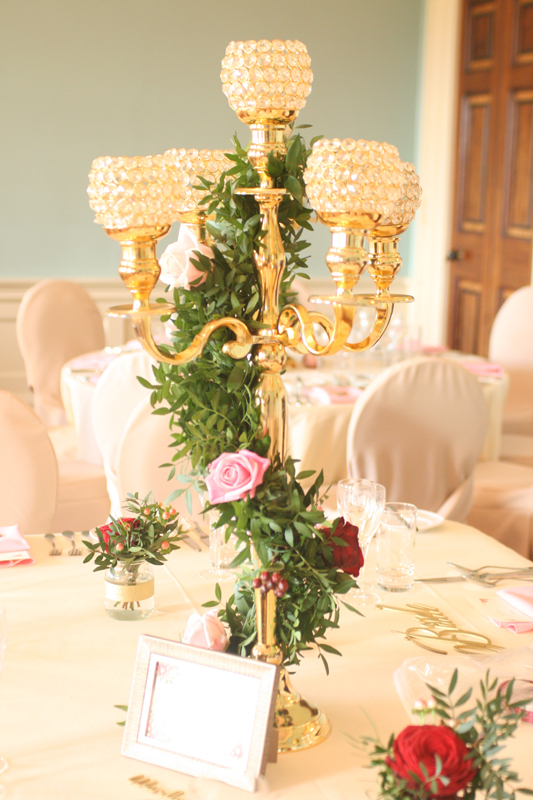 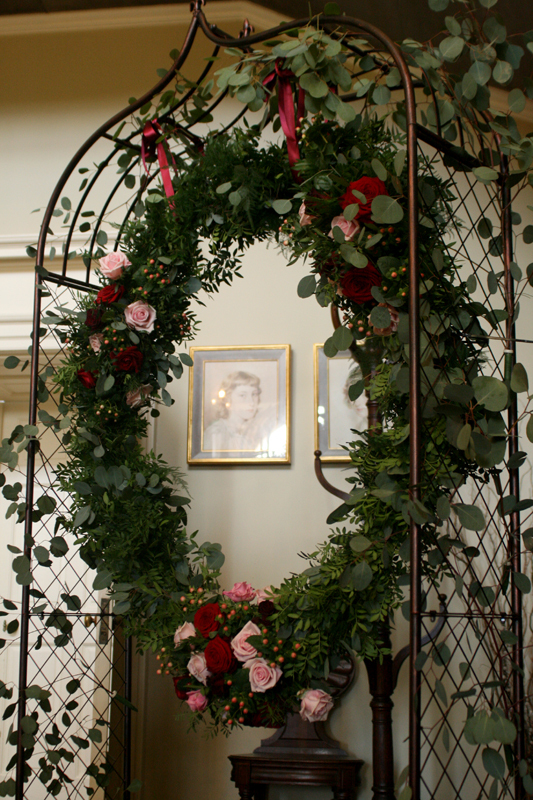 Our large bay trees were placed at the entrance of the castle with the bases filled with hydrangea and roses.